Is YouTube killing the video star? Not so much according to Van Toffler, the executive producer of this weekend's Video Music Awards on MTV. Thanks to social media, music videos are thriving and the VMAs have a bigger audience than ever. "Even in the modern age of social media and video consumption online, there's still a strong desire for galvanizing great content," Toffler told CNNMoney. "We're the conversation and social media is the telephone." Toffler, who stepped down as president of Viacom Music Group in the spring, has watched the evolution of the event from an awards show to one of the most outrageous live TV events of the year. "We're happy when there's chaos," Toffler said. 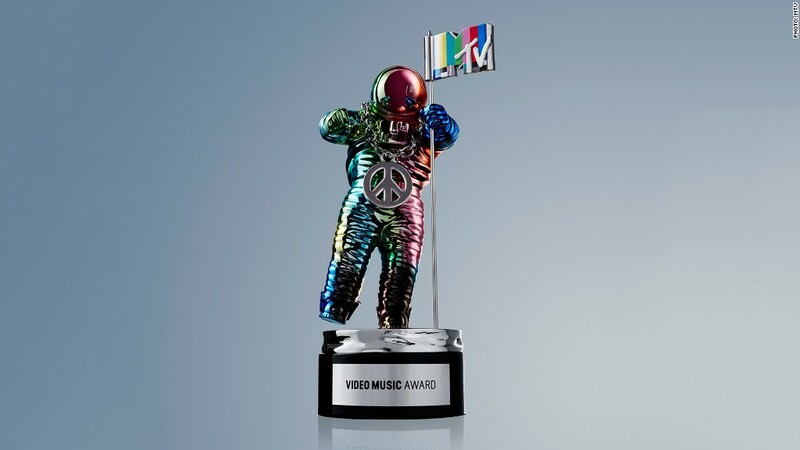 Started in 1984, the VMAs celebrated music videos during a time when MTV was the primary source for them. Nowadays that distinction goes to YouTube. 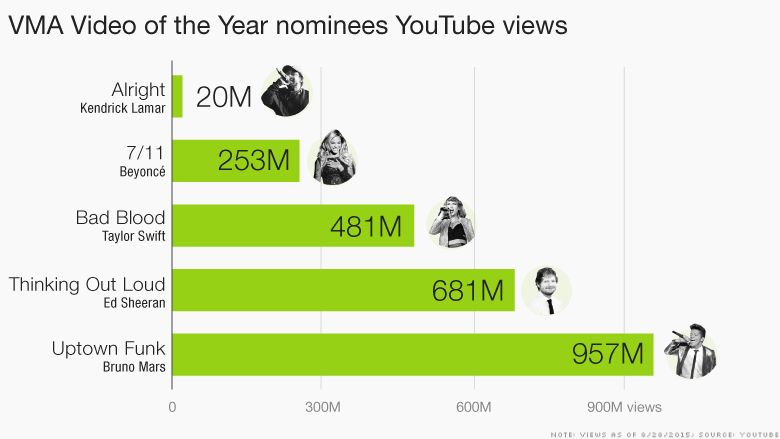 Case in point, the combined YouTube views of this year's five nominees for Video of the Year totaled a massive 2.3 billion views on the site. And the VMAs has ratcheted up the crazy quotient each year, without detracting from the prestige of the awards. Toffler went on to say that "every artist of significance" has taken the VMAs stage and felt that, due to the show's attitude, that they had to put on a unique performance. He also said that due to the controlled chaos of the show, it allowed performers to be open to speak their minds. "It's the essence of what live TV should be... An unknown outcome and mayhem almost every few minutes," Toffler added. "It's got moments of gravitas, chaos, and wonderful performances, and you throw that all together and it's unlike any other show," he said. The VMAs are also a ratings darling. Last year's broadcast brought in 8.3 million viewers and was the number one cable telecast of last summer with those aged 12 to 34 years old. And it's even a bigger in terms of social reach with last year's show accounting for 12.6 million tweets and 259 trending topics. And on the night of last year's show, MTV saw 63 million social interactions across Facebook, Twitter, Snapchat, and other social media sites, according to Nielsen. Miley Cyrus, this year's VMA host, licking the iconic MTV Moonman award. This year's VMAs should keep the show's must-watch tradition alive seeing that its host is one of the wildest artists in music, Miley Cyrus. "She's kind of a great mix of loud, outrageous, unpredictable, and credible," Toffler said. "She's emblematic of everything the VMAs represents." The VMAs will air Sunday on MTV from Los Angeles 9 p.m. ET.